Two National Aeronautics and Space Administration (NASA) centers are looking at concepts for designing and building robot space vehicle that would travel from Earth to the planet Mars, land and explore the Martian surface, and return 10- kilogram (22-pound) sample of rock and soil to Earth. Task teams at Johnson Space Center (JSC), Houston, Tex., and at the Jet Propulsion Laboratory (JPL), Pasadena, Calif., are outlining preliminary scenarios on how Mars rover and sample- return missions could be flown using launch vehicles expected to be available in the 1990s. If approved and funded, the Mars-bound spacecraft would be launched in 1998 and return with Martian soil, rock and atmosphere samples in 2001. NASA has allocated $1.2 million for studies in fiscal years 1987-88 in addition to the work ongoing at the two centers. 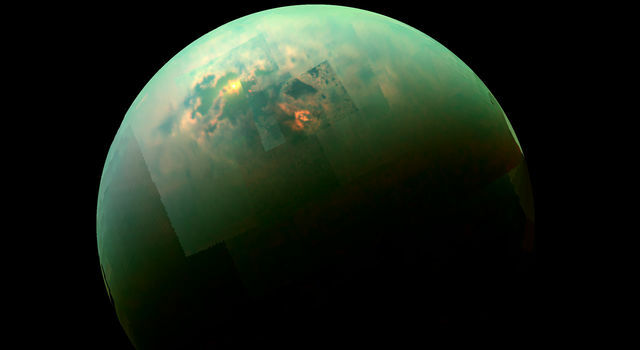 The project has been recommended by the National Academy of Sciences and other space advisory groups. In addition to expanding our understanding of the origin and evolution of the solar system, unmanned Mars missions would be forerunners of manned Mars exploration in the 21st century. The Mars sample-return mission is one of four space initiatives under consideration by NASA for regaining U.S. leadership in civil space. Other initiatives are expanded Earth systems studies, enhanced solar system exploration, and permanent scientific base on the Moon. In the study phase, JSC will be responsible for conceptual study of an entry- and landing-vehicle capable of entering and slowing down in the thin Martian atmosphere to land gently on the planet's surface. This task is particularly challenging because the atmospheric density at the surface of Mars is only one percent of that at the Earth's surface. JSC will also study the vehicle stage for lifting off Mars to rendezvous and dock with an orbiting spacecraft prior to return to Earth with the surface samples. Returned Martian soil, rock and atmosphere samples would undergo extensive laboratory analysis in manner similar to that used to the study of lunar samples returned by the Apollo lunar missions. The Space Station probably will be used for initial sutdy and analysis of the returned samples before they are released for study on Earth. 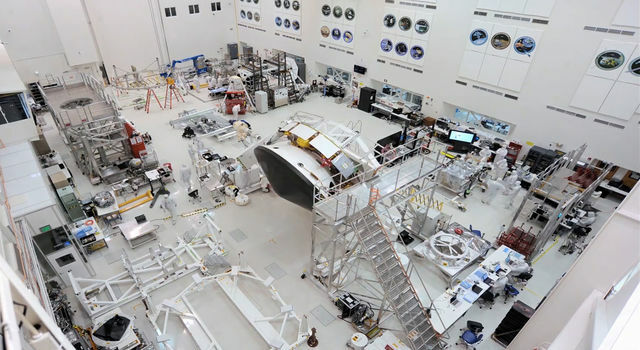 JPL will have overall study responsibility and will be responsible for the conceptual study of Mars orbiter spacecraft and an automated surface rover equipped with sample-gathering scoops and tongs. The orbiter and Mars surface craft would depend heavily on preprogrammed computer software to manage tasks because radio commands would take 10 to 20 minutes to reach Mars from Earth and another 10 to 20 minutes for the acknowledgement of these commands to return. 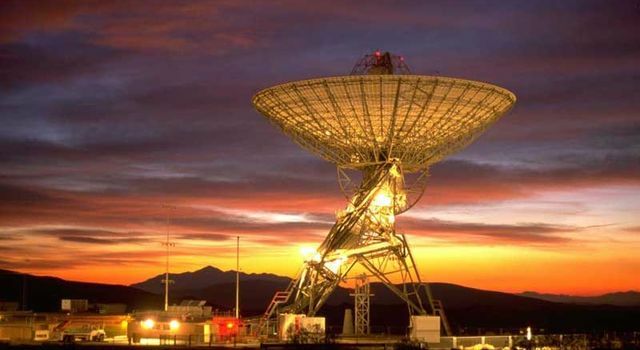 The JPL-operated Deep Space Network (DSN) would be responsible for tracking and data acquisition. 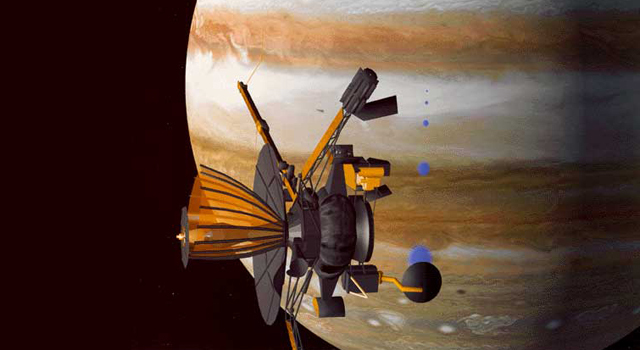 The DSN has had similar responsibility for the Viking Mars lander and orbiter missions from 1975-1982 and the current Voyager outer planet missions. JSC is expected to award two $350,000 Martian atmospheric- entry study contracts, and JPL currently anticipates one or more fixed firm-price contracts not to exceed $250,000 to study surface mobility and rover-lander rendezvous.